In a nutshell, bookkeeping is the process of recording and documenting all financial transaction of the company. It is an integral part of accounting. The recorded transactions include purchases, sales, receipts, payments and loans by a business entity. Whereas, accounting is a broader concept of systematically recording, measuring, filing and communicating information regarding financial transactions. After setting up a business in Bahrain, there are several other procedures you ought to take care of balance and monitor the financial aspect of the company. You need to keep track of capital, cash inflows, and outflows, financial transactions, refunds, the assets and liabilities of the company, employee salaries and the equity. The finance division of the company is established to deal with all the various financial matters, significant or minute. This is precisely where bookkeeping and accounting in Bahrain come into the big picture. The fundamental purpose of accounting and bookkeeping is to maintain, document and store past financial records of all the transactions, bills and receipts of the company in accordance with the International Accounting Standards (IFRS). 1. Orderly maintenance of Financial Records. Accounting and bookkeeping ensure the methodological and orderly maintenance of financial records. Records are what document the journey of the company and bookkeeping and accounting maps out the financial mission of the company. These books and records are valuable sources of past financial information and having these journals in place can be used for various other purposes. It ensures that all the transactions are collected and recorded in the same place and in the same manner. As mentioned above, bookkeeping and accounting are valuable sources of past financial information. Thus, if you have a company in Bahrain, your journals are your fundamental sources of information required to assist you in the process of formulating financial statements and reports. Since bookkeeping and accounting document and store past financial records of all the transactions, bills and receipts of the company, you will be able to draw out relevant information of the current financial position of your company. They will contain all data regarding credit, debit, receipts, bills etc. Moreover, the numbers will speak volumes when it comes to the financial capabilities of your business in Bahrain. The records are used to provide interested or concerning parties such as creditors, stakeholders, the Bahraini Government etc with information. Accounting and bookkeeping stores all of the financial transaction of the company since day one. Moreover, as mentioned in the previous point that the derived journals are excellent sources of financial information. When the need arises for a deep-rooted economic evaluation of the company's financial position, whether it's running in losses or quite profitably, whether the funds could be used more efficiently in other aspects, the areas which absorb a great deal of asset, all these aspects can be analyzed and backed by the data recorded through bookkeeping. Accounting information of the previous year is compared with the accounts of the present year to analyse and evaluate the current stance of the company in Bahrain. It is not enough when a company has several business ideas. Implementation of these ideas requires support derived from many contributing factors such as, the company's capability to pull off a new operation. Apart from workforce and management, a crucial requirement is resources, and to put it in a point-blank manner, resources require money. It is essential to know the monetary stance of your company before taking any decision. The capacity to undertake a new business operation depends heavily on the capability and financial strength. Accounts of the company lay a foundation for calculating the tax amount. Every business or company is obliged to maintain its books of accounts as well as pay their taxes. Financial statements and reports comprise of the very basis for tax reporting. Tax authority of Bahrain, the Ministry of Finance, evaluates the practicability and efficacy of other economic operations based on the data collected through accounting. In Bahrain, the corporate tax amount is calculated from the annual income of that year. Bookkeeping also keeps track of the yearly taxation dues. The financial information sought after methodical bookkeeping can be procured as evidence in legal matters and issues. Accounting identifies, records, measures, classifies, verifies, summarises, interprets and communicates financial information from the day of the first business transaction. Old records or the records of a particular fiscal year can be presented as evidence whenever the need arises. The six main reasons mentioned above are correlated and work in tandem with one another. 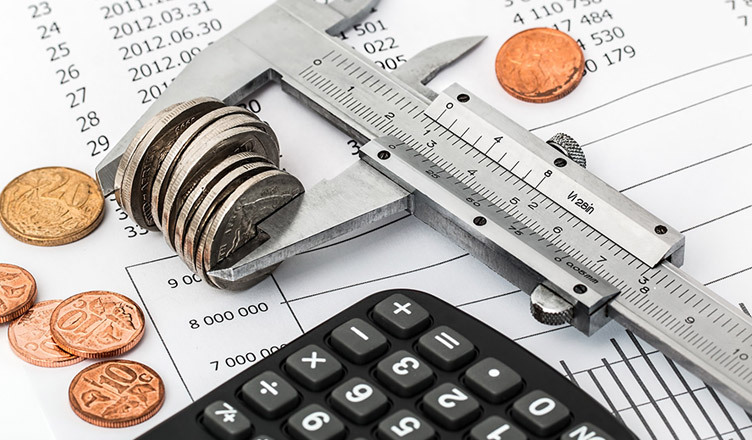 To sum it up, bookkeeping and accounting enables decision making, financial evaluation of the firm's position, lays a basis for calculating the annual taxation amount, provides valuable information, and acts as evidence if the need arises. However, the most important aspect of accounting is perhaps the regular maintenance of all the transactions and safeguarding the book of records. Thus, sheer management and synchronisation of accounting documents are incredibly crucial to run a business in Bahrain. Business Setup Worldwide offers world-class bookkeeping and accounting services, among many other services in Bahrain and several other locations worldwide. For the best solutions to your business needs, contact us, we'd be happy to help!